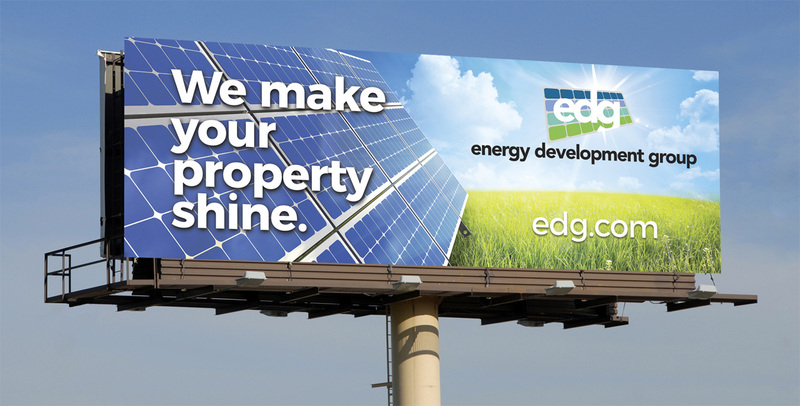 Energy Development Group (EDG) is an innovative, full-service solar design company specializing in solar land development. 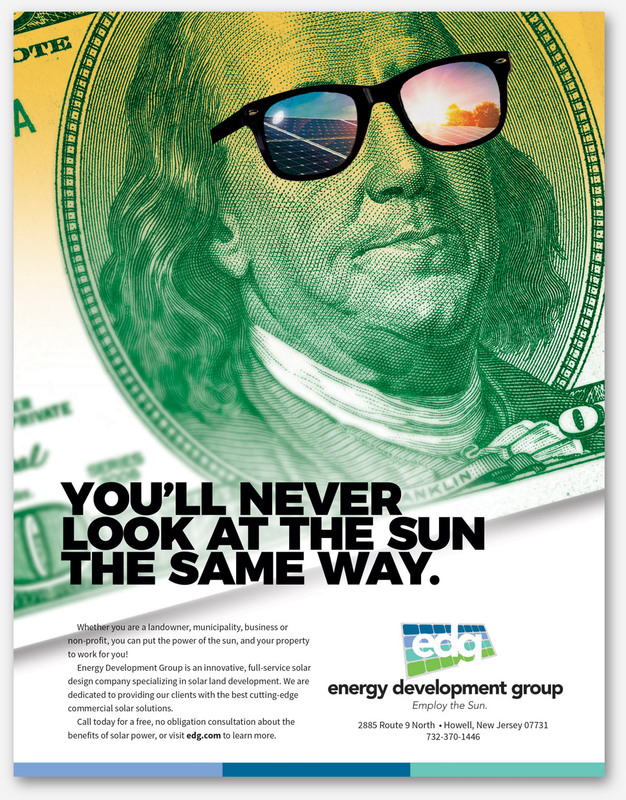 Located in New Jersey, they are dedicated to providing clients with the best cutting-edge commercial solar solutions. 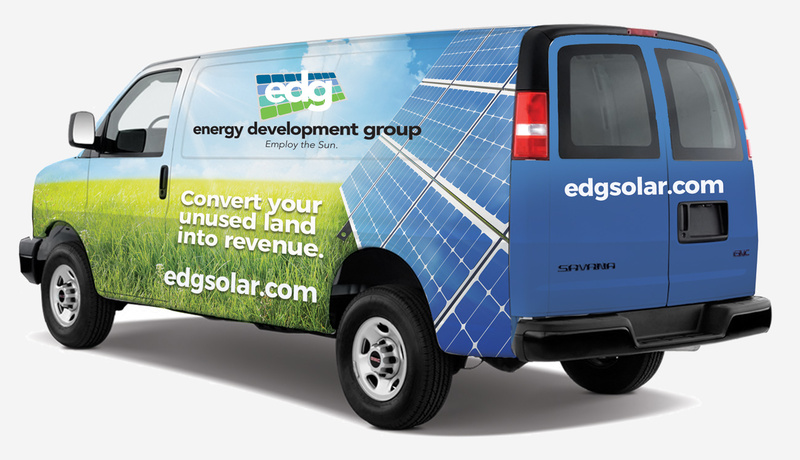 EDG chose Clearbridge Branding Agency to create and execute their brand. 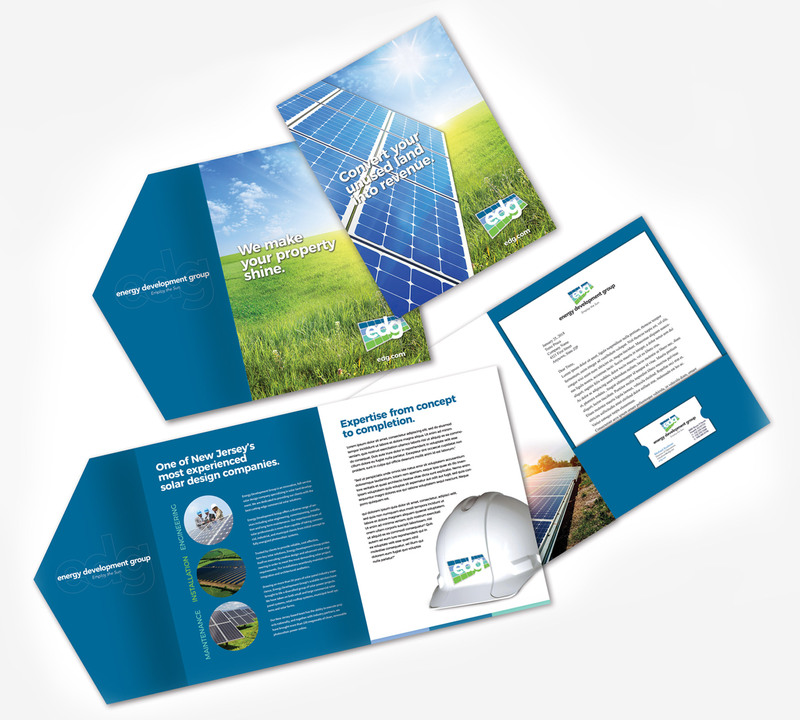 We developed the complete brand from logo to tagline, as well as all their corporate materials including capabilities brochure and letterhead design. 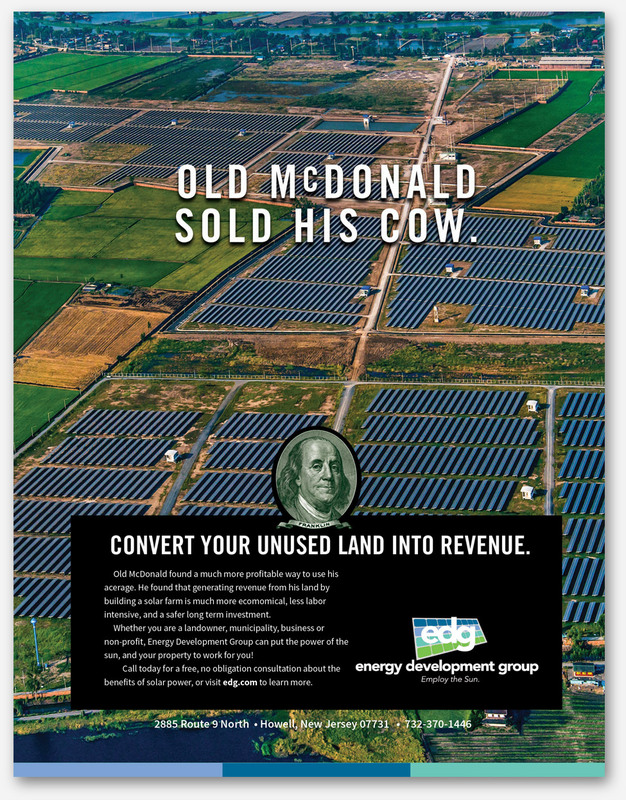 Next, we created the marketing materials which included magazine ads, television and video creative, outdoor ads, and a comprehensive digital marketing strategy.